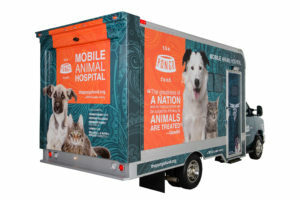 The Pongo Fund Mobile Animal Hospital provides free lifesaving care for hundreds of animals each year thanks to a network of dedicated veterinarians and medical professionals. On board are two surgical areas, dental equipment, full laboratory, digital xray, pharmacy and more. While we are not able to help with each request, we do our best to help as many as we can. If your pet needs veterinary care* or for more information, please reply to the questions below and email us at info@thepongofund.org. Your full legal name, date of birth, home address and telephone number. How did you hear about The Pongo Fund? For example, from a neighbor, a social worker, an agency, am a current client, etc. Your pet’s current health condition that needs attention? How long has this condition been evident? If there was an accident that caused an injury, what was the accident and when and how did it occur? Do you currently have a veterinarian? If so, who is it? And when was your last visit? Has your veterinarian examined your pet for the current condition you are telling us about now? And if so, what were the findings? Where was your pet adopted or purchased from? Specific information is required. For example: shelter, humane society, rescue group, bought from breeder for $100, friend, found, etc. 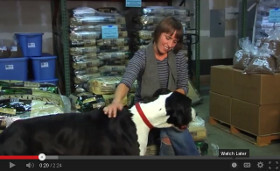 Is your pet current on other vaccinations? If not, please tell us why not. What food(s) do you currently feed your pet? Please tell us the specific type and brand(s) if you know them. Does your pet have any allergies? If so, have they been tested for these allergies to determine the cause? Are you currently employed? If so, where do you work and how many hours do you work per week? Do you currently receive any social service or government assistance? If so, what assistance do you receive, and what is the dollar amount? How much is your current or average monthly income, and from what specific sources? Please include all income sources. Do you have other pets? If so, what kind and how many? And have all pets in your home been spayed or neutered? We’ll be back in touch after we receive your information. We receive many requests for help and unfortunately cannot help in all cases. Please know that it could take us several days to be back in touch with you. So if this is an EMERGENCY, please review the Emergency Resources below.